Hair Transplant as an option for reviving your scalp and rejuvenating your personality has many positive shades. You can consider the latest techniques and procedures that are being approved worldwide to restore your head from baldness with amazing possibilities of Hair Re-Growth. The two major types of Hair Transplant Surgery we offer for you at our Birmingham Clinic are FUT and FUE procedures. The Follicular Unit Transplantation is done by smartly extracting a small strip of your head scalp from which the healthy follicles are gathered for grafting. Similarly the Follicular Unit Extraction involves the diligent puncturing of scalp to select the best of the hair follicles which is followed by grafting process. 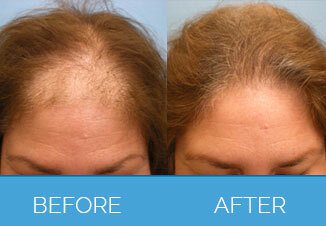 Our expertise in sensibly handling both these procedures would enhance the real hope of rejuvenating hair growth. 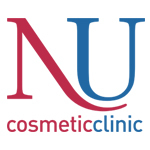 Nu Cosmetic Clinic is all about engaging with you from the perspective of facilitating long lasting solutions that are precisely meant for restorative purposes. We imbibe the essence of cosmetology at every level of our working that subsequently results in facilitating world class solutions. Our satisfaction and pride lies in the capabilities of converting complex situations into simpler solutions, as you can experience them. In reality the amount of backend work that contributes to ensuring that the outcomes are made simpler and worth your time is immensely huge. The whole credit goes to the collective contribution of surgeons and experts who always put in their best to leave memorable experiences with you. Though we don’t really aim at featuring on top of the board always, there are several reflections of our team’s commitment, caliber and capabilities in delving highly desirable Hair Transplant Surgery Solutions in Birmingham City. Being consistently on top of the rating charts by the online reviewers and rating experts from the cosmetology industry is indeed as mere reflection of our work ethic and dedication that is immensely huge. Online ratings are among the major sources of judging the effectiveness and performance of a cosmetic clinic like ours and we are more than glad to have impressed the online community of cosmetic enthusiasts in the ambit of Hair Restoration Therapies. Patients who come to our cosmetic care center for consultation and treatment would seldom go disappointed. 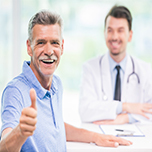 This often gets documented through testimonials and exchange of letters of gratitude between the patients and surgical experts who took good care of them, and these testimonials are something we cherish the most. From the viewpoint of our surgical and support staff, the success stories are the major motivating factor that keeps us moving ahead with exceeding passion. More importantly, the testimonials and success stories are meant to motive you. As an enthusiast or even a skeptic, you shall have a different impression and experience of going through the way how many lives are transformed at our Hair Transplant Clinic at Birmingham. Our experts are our assets and major strength for everyone looking for a new hope to re-define personality and impressive looks. 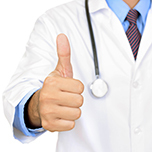 Every effort made by a treating physician or consulting surgeon would really matter. Mr.Gabriele Borghini and Mr.Shivram Singh, the specialists in Plastic Reconstructive & Cosmetic Surgery are known for their technical expertise and hands-on experience of handling some of the most complex situations while offering Hair Re-Growth solutions. Apart from Hair Transplant, they are popularly known for their multispecialty expertise with unique capabilities. Our official working hours are between 9:00 and 17:30, Monday through Friday. We are concerned about special queries and requests as well; accordingly our support functions are flexibly scheduled. We are approachable on weekends and late weekdays too. Located in the prime of Birmingham, our clinic can be easily accessed from the city center. Find us at 43 George Road, Edgbaston and do avail free car park facility to the building. Do experience the contemporary environment when you reach us.